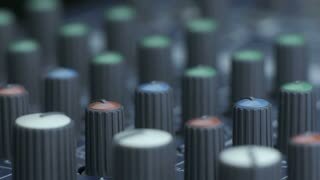 The mixer is the central device in any sound studio. 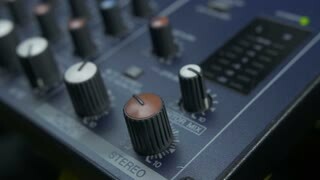 Sooner or later you are going to want to bring all of your materials together to make a piece of music, and for that the mixer is essential. 1970 - A woman inputs letters into the Optical Character Reader at a post office. Remote control mobile structures on the stage. Remote assistant director. 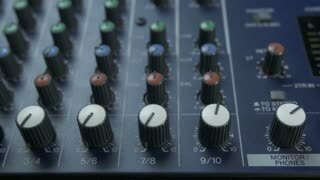 4K — Slider shot across a digital audio mixing desk, with microphone. Vertical pan of motherboard's inputs and outputs from disassembled old computer. Zoom out of computer motherboard with inputs and outputs on the rear panel. Close up of inputs and outputs in disassembled's computer motherboard. Zoom out of LCD TV motherboard's audio and video outputs.